So I've always been very upfront with the fact that when it comes to me and electronic music, I can feel a little out of my depth, especially on the more experimental fringes where the compositions push into twisted, visceral territory. Now this is less true than when I was first stepping into the genre in 2015, but there's a part of me that's always a little unnerved and yet thrilled venturing into the weirder subgenres, that touch upon tones and sounds that never really touched the mainstream. And so you can all imagine how much a record like Jlin's Dark Energy had on me a few years ago. Wrenching the tempos and intensity of footwork into twisted yet razor-tight atmosphere full of fragmented samples, industrial muscle, and African textured percussion, it was an experience unlike any other electronic record I had heard in recent memory, and while I did take some time to delve into footwork after hearing Dark Energy, it's a record that has lingered in my mind even years later. Hell, a record that experimental, strident and confrontational and yet willfully abstract and opaque can be easy to respect for how much it sticks in your head, even if going back I still find parts uneven enough to like but not love. Well, not in the direction I was expecting, that's for sure. Maybe it was my own fault thinking that I was going to get something more imposing in the vein of the nastier tracks on Dark Energy, but Jlin instead opts to refine her formula instead of expanding it. The vocal fragments are even thinner, the percussion lines are even faster and sharper, doubling down on the frenetic skittering intensity of footwork with all different variants of textured percussion... and if I'm being brutally honest, I'm not really sure it works for me. i can appreciate it to some extent, and by all accounts fans of footwork and this variety of electronic music will really dig it, but I'm not sure I'm quite on board. And yet I can't help but feel, at least for me, that the shift to refine rhythm to the expense of everything else did these tracks a disservice. Let's skip beyond the obvious thing I say whenever percussion is emphasized over melody, because to Jlin's credit at least the tones used stand out as unique - my larger issue comes in how these tracks flow. I get the unstable shifts and contortions that run through each piece, but it's not like they use this instability to build to firmer crescendos or even pile on more complex layers to ratchet up the intensity. And that's another point: say what you will about how twisted and imposing parts of Dark Energy were, they at least commanded that presence and could inspire that visceral thrill: 'Guantanamo' might have been a nasty listen, but it stuck with you! Here... maybe it's because so many of the vocal samples are chopped to indecipherable ribbons - and in some cases they can get pretty shrill or nasal - but it's a lot harder to place these songs in any sort of dramatic context beyond whatever I can glean from the song titles. There's the prominent African influences - Hatshepsut was one of the most well-known female pharaohs in ancient Egypt, 'Nandi' and 'Nyakinyua' are references to East Africa - but what caught more of my attention were references like 'Carbon 7' - referring to an extremely unstable isotope of that element - or 'Calcination', referring to a process when extreme heat causes thermal decomposition within an ore, or 'Kyanite', where given the production choices is probably referring to the new age attributes where it is a crystal that can neither retain or accept negative energy. These ideas seem to paint a picture of great, unknowable intensity and instability, with origami representing a precise structure that might endure while all else decomposes, given the most strident context on '1%', easily the most direct piece here. But as a whole... I think I respect this record a fair bit more than I like it, and again, I'm not sure you're going to hear anything else like it this year. 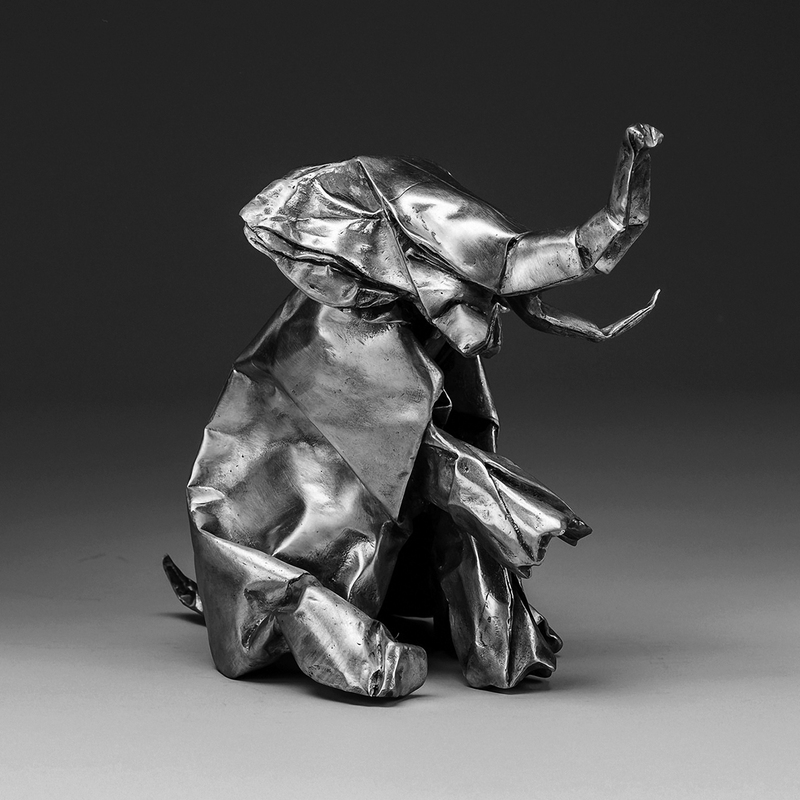 Jlin's take on footwork is vibrant, intense, and plenty diverse... but it's not really sticking with me as much as Dark Energy did, either from the lack of melody to further ratchet up the tension in the progressions, or the fact that so many of these songs seem to be going for a tone and mood rather than any sort of compositional arc across the project - self-contained nuggets of raw nerves that at least for me don't stick out as much, or feature some vocal samples that just grate on my nerves. As such, for me I'm giving this an extremely strong 6/10 and a recommendation - again, I just don't think this is entirely for me, though I do see its appeal, so if anything I described is up your alley... hell, give it a listen, it's pretty solid.